From time to time, I hear a friend complain about how hard it is to cook fish, and I can't ever seem to quite wrap my head around it. In actuality, fish is one of the easiest things in the universe to make--if you pick up a good filet from the market, it needs very little seasoning and even less cooking time. Yes, fish tends to be a bit flakier and more fragile than it's red meat or poultry counterparts, but that shouldn't be mistaken for being more difficult to cook. Trust me, the opposite is usually true. 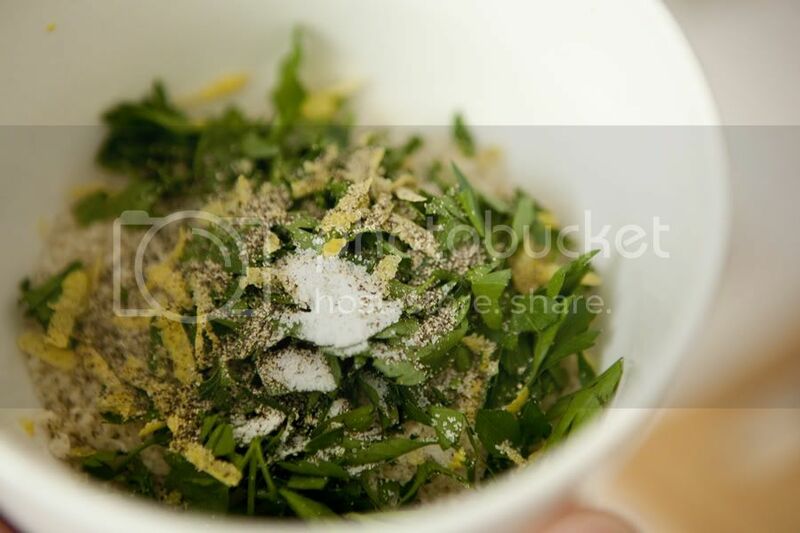 Combine the panko, parsley, lemon zest, 1/2 teaspoon kosher salt and 1/2 teaspoon freshly ground black pepper in a small bowl. 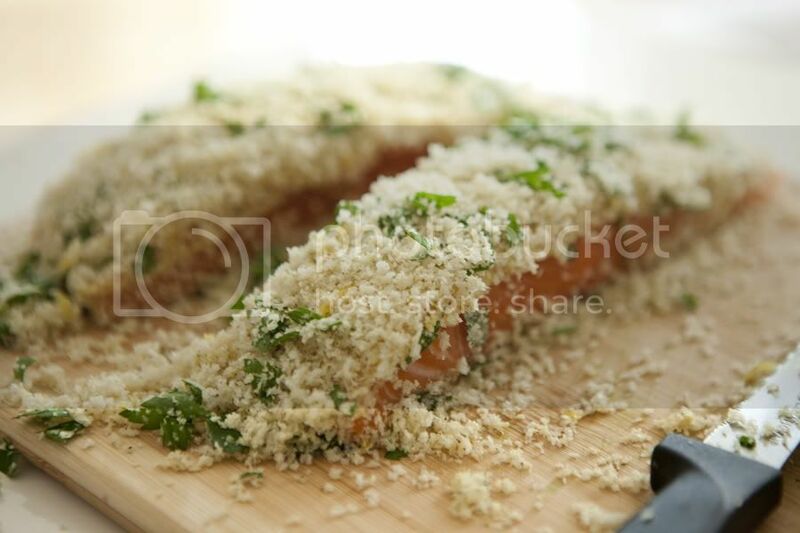 Add the olive oil to the bowl and stir until all of the crumb mixture is evenly coated with the oil. 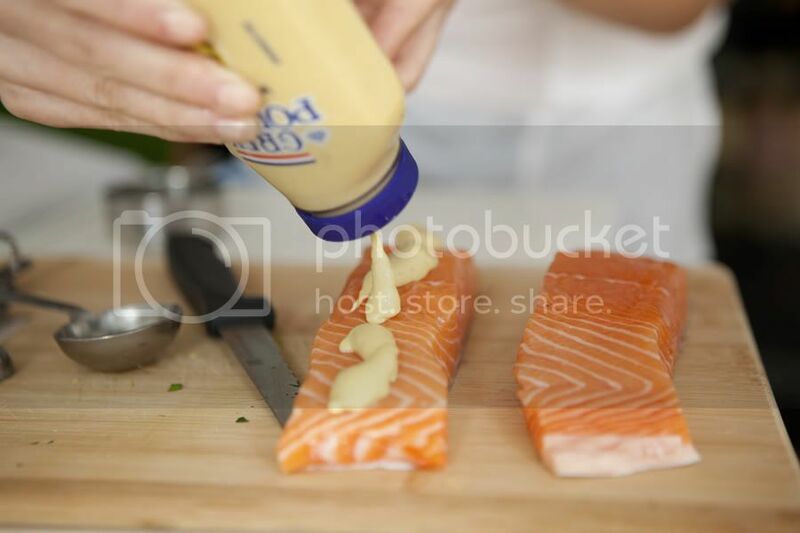 With the salmon fillets skin side down on a work surface, use a pastry brush to spread the mustard generously over the tops of the fillets. 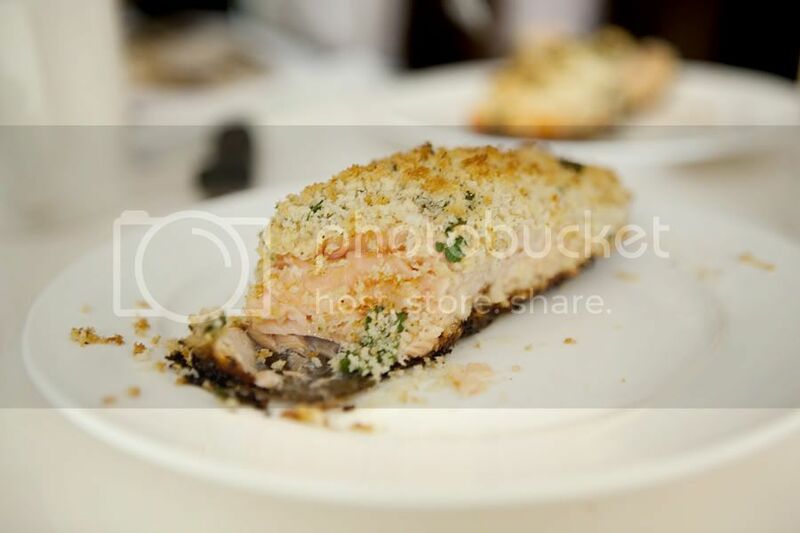 Season the fillets with kosher salt and freshly ground black pepper, then distribute the crumb mixture evenly over the fillets and press to adhere. Heat the canola oil in a large ovenproof skillet over medium-high heat. Add the salmon fillets, skin side down, and sear for 3-4 minutes to brown the skin. 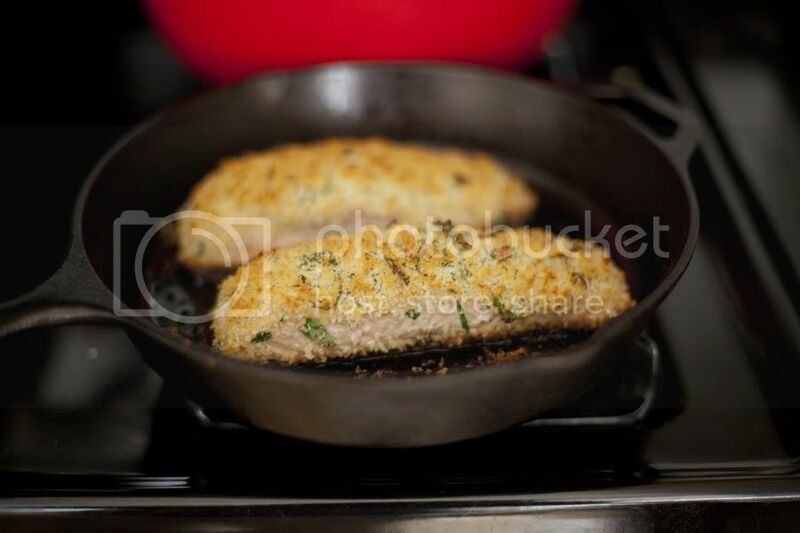 Transfer the skillet to the oven and bake for about 5-7 minutes, or until the salmon is just about cooked through, and the panko mixture has browned. Remove the skillet from the oven, cover loosely with aluminum foil and let rest for 5-10 minutes. 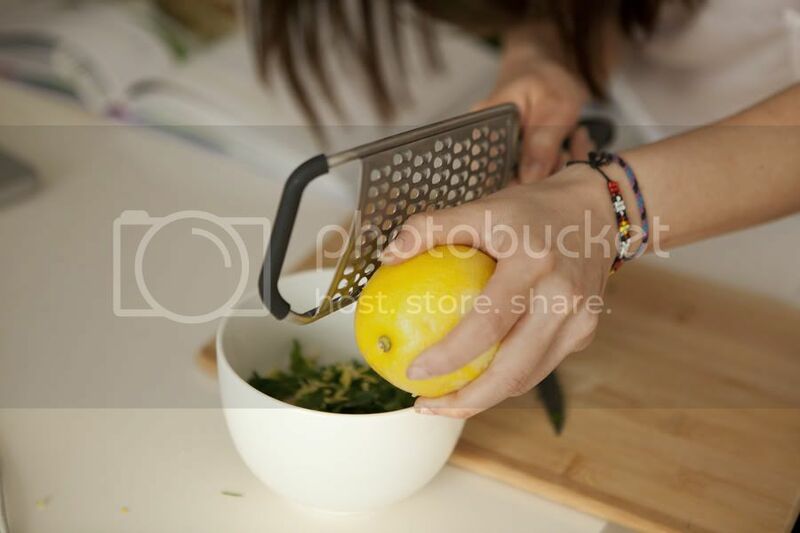 Serve with the lemon wedges. What's a goof side dish to serve with this? I make this all the time, thanks so much!